Hotels blocks opened for FENCETECH 2019 in September and they are filling up quickly. Book your room soon to ensure the best value with a great location and low rates. Go to www.FENCETECH.com for conference hotel options and other travel information. Remember, AFA will only ask you to book through www.FENCETECH.com. If you receive a request from another company, they are not affiliated with AFA. 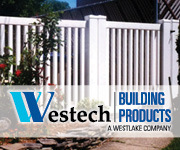 While you are visiting www.FENCETECH.com, check out the updated conference schedule including a listing of all education schools and seminars. Registration will open later this year and you can sign up for an email reminder on the website. Are you a Manufacturer or Supplier and know of an amazing fence project completed by one of your contractors? Consider nominating them for an inaugural AFA PRO Award, AFA’s newest awards highlighting the best of the best in the fence industry. 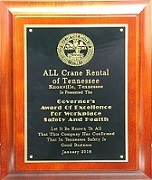 Check out www.americanfenceassociation.com/pro-awards/ for all the details. Deadline for nominations is November 15, 2018. 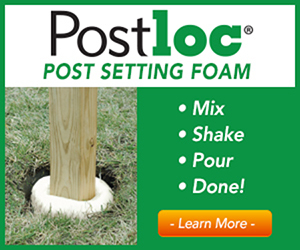 On the fence about exhibiting at FENCETECH? There is limited availability and AFA is expecting to sell out. Don’t miss out on being part of the first FENCETECH/METALfab/IDAExpo combined conference with over 7,000 attendees. Learn more about the show and the opportunity to maximize your return on investment in our Exhibitor Prospectus. Chad Hymas is the most compelling safety presenter in the United States. 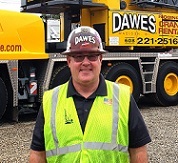 One of the visual aids he uses is the wheelchair, to which he is confined due to a job-related injury he suffered more than 10 years ago.Since that time, he has used his life experience to change attitudes about workplace safety. Current exhibitors can now access the Freeman Service Kit, Online Ordering, and a list of all the Dates & Deadlines you need to make FENCETECH 2019 your best show yet. Make sure to order your booth carpet and furnishings early to save money. Visit the exhibitor page of the FENCETECH website for more details. Make sure to order your booth carpet and furnishings early to save money. 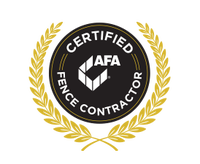 Industry professionals with more than 10 years’ experience in the fence contractor business are eligible to take written examinations at the 2019 FENCETECH in Indianapolis for the new Certified Fence Contractor (CFC) credential. Attendance at the Fence Contractor Business School is not required for individuals with 10 years’ experience. The CFC exam application is available on-line at www.americanfenceassociation.com/cfc. The American Fence Association’s (AFA) Association Awards are open for nomination. Recognize deserving members for their outstanding commitment to the industry by nominating them for a 2018 Association Award. The 2018 Association Awards include Ambassador Award, Contractor of the Year Award, Distinguished Industry Service Award, Hall of Fame Award and Manufacturer of the Year Award. Distinguish an admirable individual for their hard work and dedication to this industry! The deadline is coming soon! A great time was had by all who braved the weather and attended the Texas Fence Association's 2018 Casino Party & Golf Tournament Fundraiser. The association hosted ninety-seven members and friends in Dallas for the annual Casino Party and golf fundraiser. The AFA Education Foundation (AFAEF) provides a limited number of needs-based scholarships to individuals who are pursuing higher education. Eligible applicants are either individuals employed in the fence industry, or an immediate family member (i.e. wife/husband, child) of a current industry employee. Applicants must also have achieved a “B” grade point average or higher in the previous three years of schooling and have performed a minimum of 40 hours of community service. The deadline to submit a scholarship application is December 1, 2018. Prevent Callbacks Before They Happen! 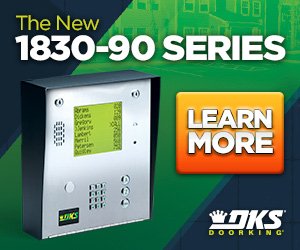 D&D Technologies provides the broadest range of hi-performance gate hardware for every application. 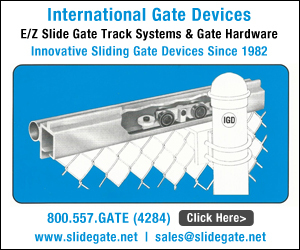 SureClose® hydraulic gate hinge & closers feature Dual Bearing Glide System™ and concealed hydraulics. 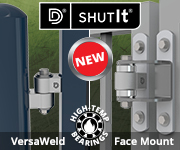 Shut It® gate hinges offer near frictionless movement, are adjustable and maintenance free. D&D continually sets new standards in design, performance, craftsmanship and innovation – tied together by top level quality and service. -MSP AFA Consumer Savings Portal - OVER 1,100 OFFERS FOR MEMBERS AND STAFF. 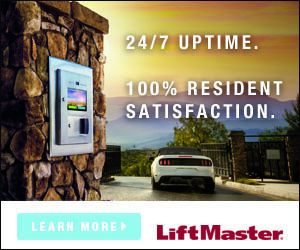 -84 Lumber - MSP discount of a minimum 6% savings off of retail . -Heartland Merchant Services & Payroll - MSP discount of competitive pricing and waived monthly fees. The most impactful savings program to date is the AFA MSP Alliant Business Insurance Program. To make sure you are covered for what you need, call Andy Stergiou at (212) 603-0321. Members can see these and all other services at the 1 Stop Registration page. AFA extends its thanks to the following members who have recently joined the association as first-time members. Welcome to the AFA family! AFA extends its thanks to the following members who have recently renewed their existing membership. We're glad you're part of the AFA family! Bay Shore, NY: Sebastian Camino, a 17 year old Boy Scout in Babylon’s Troop 1, had an important project to complete in his quest at becoming an Eagle Scout. He researched one of his passions, animal welfare, and learned that The Islip Animal Shelter in Bay Shore had very specific needs: two new storage cabinets and a sitting bench for visitors. That’s when he reached out to the always charitable Douglas DeLorenzo, President of Wayside Fence, and a former Scout Master for Troop 1. On Saturday, September 1st, in Wayside’s wood shop, the boys, and some of their dads, got busy assembling and painting the prefabricated shelving and bench. When everything was ready to be delivered to the shelter, the Scouts carried the items to a waiting van and off they went.